Quick and easy mini frittatas with eggs, cheese, vegetables, and whatever else you like! Time to make breakfast for the week. I didn't feel like making biscuits again, and James rebelled against oatmeal, so I thought I'd switch things up a bit and make some mini frittatas. Frittatas are basically Italian omelets. However, you don't fold a frittata over. Instead, the fillings mix with the eggs, and then you cook the whole thing in the oven or on the stove. 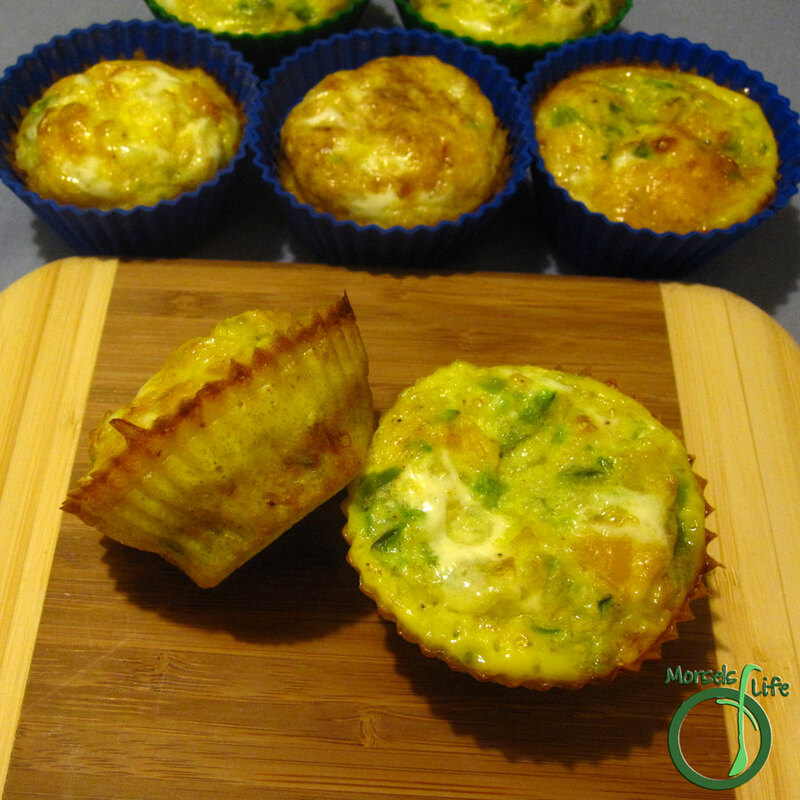 I like these mini frittatas since they're so flexible, and since they're mini, it's perfect for breakfast on the go. Give these mini frittatas a try and see what you think! What are your favorite frittata fillings? Fill each muffin cup about half to three quarters with chopped vegetables and cheese. Beat eggs with soul food seasoning. Pour egg mixture over cheese and vegetables, just covering them. Bake at 375F until eggs golden brown and set.